Summer is just winding down, but holiday party time is going to be here before you know it. If you’re looking for a very special place to have a corporate party or a festive gathering for all your friends and family, now is the time to book one of these great Glendale locations. Once you’ve established the important “when” and “where,” you’ll have plenty of time to plan all the details without stressing. The Brandview Ballroom in downtown Glendale is the area’s premier banquet hall. It offers a spacious 13,000 square feet of style and sophistication, and can more than comfortably host up to 550 guests. Located in the historic Art Deco-inspired Huntley-Evans building built in 1921, the ballroom has been completely renovated for modern convenience but retains elegant stylistic details reminiscent of a bygone era. For this banquet hall in Glendale CA, your guests will enter via an awe-inspiring spiral staircase enhanced with gold-leafed railings and boasting a two-story crystal chandelier that gives new meaning to the term “grand entrance.” The ballroom itself is graced with Italian onyx chandeliers, tufted walls, breathtaking floor-to-ceiling windows, and an icy white dance floor. The space is completely customizable with seating and dance floor arrangements to suit your wishes, and lots of room for displays and holiday decor. In addition to the Brandview’s stunning bar, you can designate part of the space as a comfortable cocktail lounge. Just a few steps away is the outdoor Patio at Brandview, which you may want to include in your event as an intimate spot for your guests to enjoy conversation and even hookah, if you wish. The Glenoaks Ballroom is extravagantly appointed with classic architecture, handcrafted woodwork, high ceilings, imported marble, mirrored walls, and a 60-foot crystal chandelier that will take your event to the next level of elegance. With 4,500 square feet to accommodate up to 450 people, this sophisticated ballroom imparts the Hollywood style of yesteryear from the moment your guests step into the red-carpeted entry. The Glenoaks’ open floor plan allows for your choice of seating options on both sides of the gleaming white dance floor, and the head of the room features a crystal-encrusted backdrop that will double the sparkle of a Christmas tree. The Glenoaks Ballroom also offers a generous stage for entertainment, and if you wish, the room can be customized with an alternate dance floor and your choice of materials to drape the walls to fit your personal design scheme. With snow nowhere in the forecast, the Brandview Patio is just the spot to take advantage of our wonderful Southern California weather. This spacious open air deck will accommodate up to 100 for a Sunday brunch to celebrate the holidays in casual style. The space features comfortable lounge seating and a bar that can serve cocktails or be transformed into a whimsical ice cream stand. If a breeze kicks up, there’s even a fire feature to keep guests cozy in the spirit of the season. 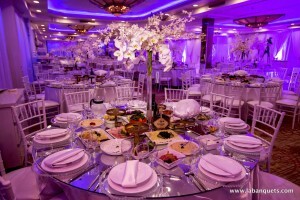 Anoush offers catering service in Glendale CA is another reason to choose one of these distinctive Glendale locations. Our master chefs delight in creating delectable fare, using only the finest and freshest ingredients. Skilled staff will pamper everyone, whether you choose a buffet, fine plated service, or the bountiful family-style dining we’re famous for. Anoush bartenders will add special flair with signature cocktails. 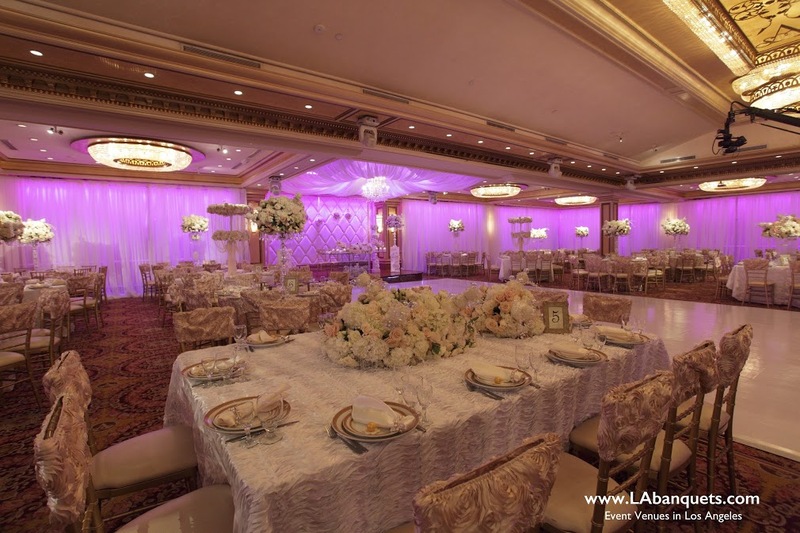 And whichever venue you choose, you’ll have at your disposal a talented and thoughtful L.A. Banquets event planner to work with you and make sure your every expectation is not only met but surpassed. 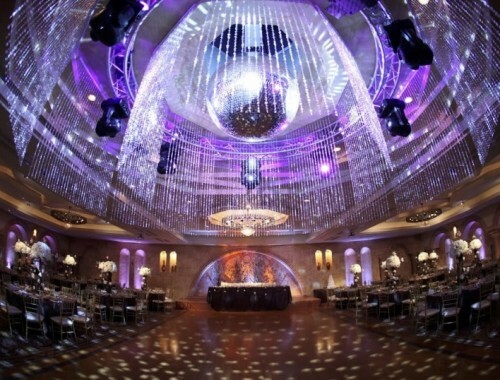 This is the ideal time to book your holiday party to assure the date of your choice. We look forward to celebrating with you.